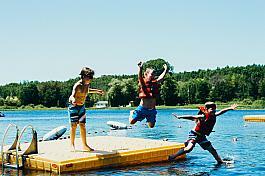 At YMCA Camp Manitou-Lin, we do summer right! Your child will leave with more than new friends and great memories- they'll also gain important life skills. We've got customized programs and activities to teach important lessons like communication, collaboration, critical thinking and cooperation. Our experience staff is dedicated to carrying out the Y's core values of caring, honesty, respect, responsibility and inclusion in all that we do so your child has a safe, rewarding experience at camp. Our first session begins June 16th. We offer Overnight Camp programs through August 17th. 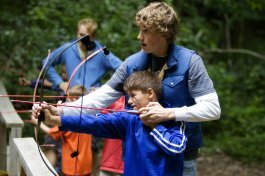 Summer Camp activities may include archery, crafts, boating, high ropes, zipline, horse back riding, outdoor living skills, swimming, tubing, mountain biking and team building. The mission of the American Youth Foundation inspires people to discover and develop their personal best, to seek balance in mental, physical, social and spiritual living and to make a positive difference in their communities and in the wider world. AYF programs seek to enhance not only a child's skills, but their confidence in themselves and their future, their character, and their connections to other people. Our outstanding staff work to create communities where youth feel supported and empowered to discover who they are and what they are capable of achieving. As a leader in youth development, Miniwanca inspires people to be their best selves. We achieve this by creating a fun and safe environment where campers will learn new skills and make new friends-and we believe much more is possible! 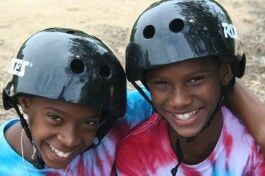 Campers 8-17 will find a progression of age appropriate adventures and opportunities waiting for them. Our philosophy of "Best Self", "Balanced Living" and "Healthy Friendships" is intentionally interwoven throughout the camp experiences.